Get the app data you want when you need it most; anywhere, anytime. More than 1 million people rely on App Annie to track and analyze app performance. Download the app today. Make informed decisions for your app business with the most dependable app market data. 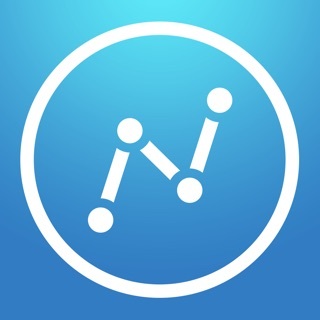 From downloads and revenue, to reviews and ratings, the App Annie app provides streamlined and lightweight access to your app’s publisher data (App Annie Connect) and competitive market performance data for over 7 million apps (App Annie Intelligence). • App Annie Connect: Connect your app store sales, usage, and advertising accounts with the App Annie Connect dashboard to quickly monitor your own app performance (downloads, revenue, active users, ad spend, and more) for free. Get push notified as soon as your daily sales performance report is available and view performance of your apps across multiple platforms. • App Annie Intelligence: Quickly find top rated apps across different app stores, categories, and countries. Analyze historical app rankings, ratings, and reviews for millions of apps across the major app stores. • App Annie Intelligence (Premium): Access premium Intelligence market data to analyze top performing apps by metrics such as downloads, revenues, active users, and penetration. Utilize historical data to discover spikes in performance and analyze macro trends in the market. A paid subscription to App Annie Intelligence is required to view Intelligence Premium data. Have problems, questions, or feedback? Email support@appannie.com and our team will be happy to assist you. To learn more about the full suite of App Annie products, check out www.appannie.com. Fix bugs that may lead to app crash. It’s a good app, but I changed once the device language to Chinese, the app changed with it, and now it won’t let me change back to english. Already tried to reinstall it, but no success! Fix this, please! Please contact our support team directly so that we may quickly address your issue. You can email us at support@appannie.com. Our team will be waiting to assist you with all of your questions with the App Annie Mobile App! I removed account information and added other account information and the app and website both display the wrong app information from the old connection. It seems these guys struggle with data. Please contact our support team at support@appannie.com, we will be glad to assist you.